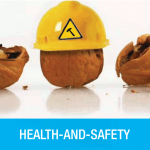 – Effective EHS systems for companies with a large number of workplaces, involving a wide range of activities. – Provision of rescue teams for VIP visits to wind turbines or other facilities with difficult acces. • Interpretation and guidance in the implementation of international standards.